Burlingame, CA. – April 16, 2019 – Natsume Inc., a worldwide developer and publisher of family-oriented video games, today announced the creation of its Natsume Indie Program, which partners the company with independent developers around the world to introduce creative, innovative games to a wider audience. Natsume's first title under the brand, Cosmic Defenders, is currently being developed by Tokyo-based developer Fiery Squirrel. "Natsume has been dedicated to its mission to 'Make Everyone Happy' through exciting interactive entertainment software for the entire family for the past 23 years and we are excited to work with new developers who represent this likeminded mission," said Hiro Maekawa, President & CEO of Natsume. "We are proud to support and collaborate with dedicated, artistic, and inspiring developers who are building the future of video games." "I am thrilled to be working with such a great company as Natsume, and I hope that together we can create game experiences that impact players in a meaningful way," said Henry Fernández, CEO of Fiery Squirrel. If you're looking to complete your Harvest Moon plush collection, the official Natsume eBay store might be the place to do it! Hit up the link above to have a peek and see if they've got the one plush you need! Natsume president and CEO, Hiro Maekawa, has shared some details on the public reception to Harvest Moon: Light of Hope. It seems like the game did quite well! Last year, 2018 was one of the best years for us in recent history. We released our latest entry in the Harvest Moon franchise, Harvest Moon: Light of Hope Special Edition in May for the Nintendo Switch and PlayStation 4. The title performed well beyond our forecast and even set new sales record with the number of both physical and digital combined. On top of that, Natsume teased some new projects for 2019. We are currently working on several new titles that will be announced in the near future, to continue to please our worldwide fans in 2019 and beyond. You know the holiday season is here when game companies start sending out their holiday cards! Natsume hits with the first card of the season, as far as I know. We'll be keeping tabs on any other cards that make their way out, and will certainly share them with you. Let's see who ends up having the best one this year! The Famicom text-based adventure game Idol Hakkenden was released by Natsume all the way back in 1989, and never saw an English localization. That's now changed thanks to a group of fan-translators. You can check out some footage of the English translation above! If you've been holding out on some Harvest Moon games for 3DS, now is the time to grab them! You can get the above mentioned titles for 50% off! That's certainly a hefty discount, so hop in while you can! Burlingame, CA. 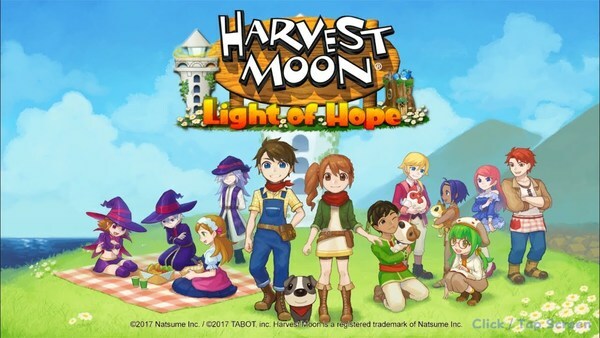 – July 31, 2018 – Natsume Inc., a worldwide developer and publisher of family-oriented video games, today released the final DLC pack for Harvest Moon: Light of Hope Special Edition. The Divine Marriageable Characters pack is now available for PlayStation®4 and Nintendo™Switch for $3.99. Ever wonder what it'd be like to woo the Harvest Goddess or the Underworld King, Gorgan? Well, now you can! Get to know the Harvest Goddess and Gorgan on a deeper level and marry them! Fiercely territorial and suspicious of surface dwellers, Gorgan, the King of the Underworld, isn't exactly great with first impressions. But with a secret love for flowers and fish, maybe Gorgan isn't as grumpy as he appears at first sight! 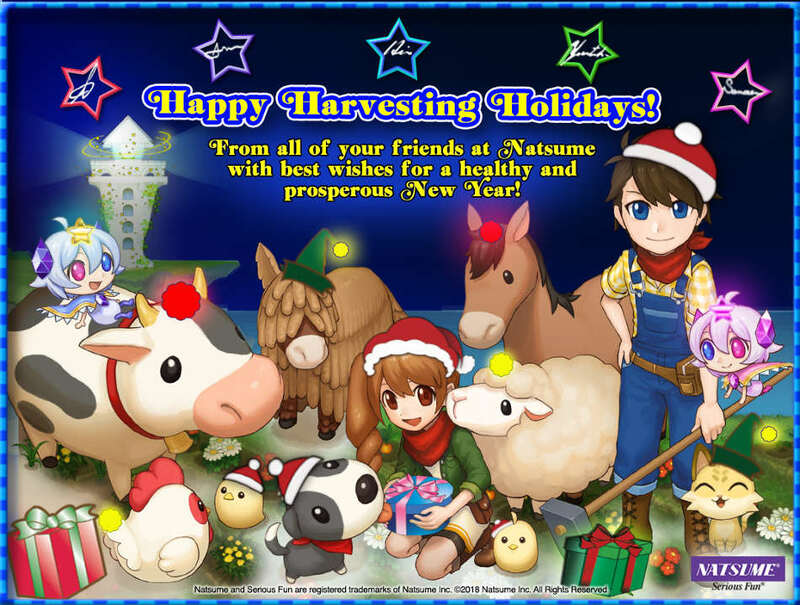 Harvest Moon: Light of Hope Special Edition Season Pass grants access to all four DLC packs at a discounted price. The other available DLC packs include Decorations & Tool Upgrade Pack, New Marriageable Characters Pack, and Doc's and Melanie's Special Episodes. The season pass is $9.99 and is available through the PlayStation® Store and Nintendo eShop. Harvest Moon: Light of Hope Special Edition Bundle is available through the PlayStation® Store and Nintendo eShop; it includes the full game and the Season Pass for $49.99. Here's a look at the DLC packs that have already been released! Help Melanie and Doc out in two side stories that will unlock new shops! Melanie is in a designing slump, and needs your help for inspiration! Meanwhile, Doc is having trouble in the romance department! Can you help him out? And what rewards will they give you? Burlingame, CA. 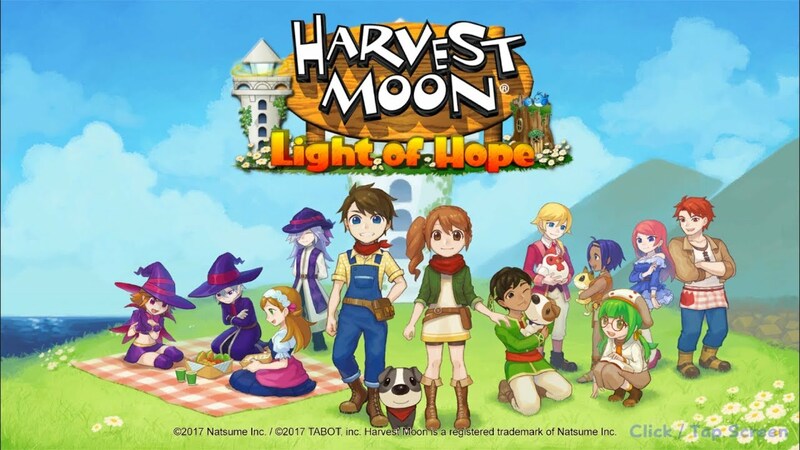 – July 10, 2018 – Natsume Inc., a worldwide developer and publisher of family-oriented video games, today released the third of four DLC packs for Harvest Moon: Light of Hope Special Edition. Doc's and Melanie's Special Episodes for PlayStation 4 and Nintendo Switch is now available for $5.99. Reward: Seasonal outfits for the main and marriageable characters...Over 40 new outfits! Reward: Ability to change your house interior...7 unique interiors designs! Harvest Moon: Light of Hope Special Edition Season Pass grants access to all four current and upcoming DLC packs at a discounted price. The season pass is $9.99 and is available through the PlayStation® Store and Nintendo eShop. 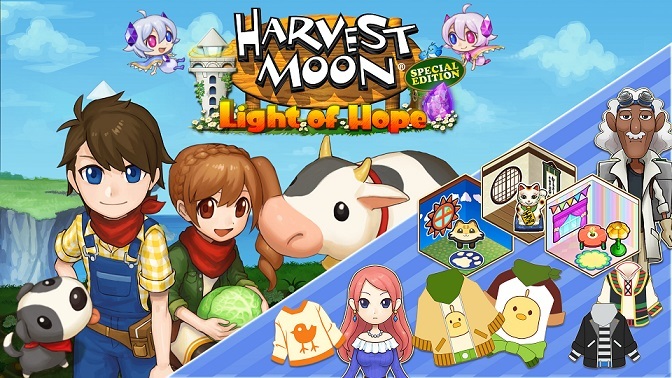 Harvest Moon: Light of Hope Special Edition Bundle is available through the PlayStation® Store and Nintendo eShop; it includes the full game and the Season Pass for $49.99. This Harvest Moon game has been really divisive among fans. It seems like a lot of the anger comes from the look of the game, with many considering it to be a low-effort product. I've never played a single Harvest Moon game, so I honestly have no clue! Any of you planning on picking this one up? Looking for a fresh start and some new surroundings, you set off on a voyage to begin your new life! Unfortunately, the weather has different plans, as your ship is hit by a storm, and goes down! You drift into a small harbor town, now in shambles from the storm, where a young doctor named Jeanne saves your life.